Sapporo Snow Festival – Yuki Matsuri – every day's a holiday! When high school students in the sleepy town of Sapporo built some snow sculptures in Odori Park in the winter of 1950, little did they know the international phenomenon they would unleash. In the coming years the festival grew in popularity among the locals. In 1955 the nearby military base got into the act, building the first super-sculture for which the festival is now famous. Japan’s Self-Defense Force found that the sculpture building was a good team exercise for the men. But the festival got its big boost in in 1972 when Sapporo hosted the Winter Olympics, and the Snow Festival gained international recognition. 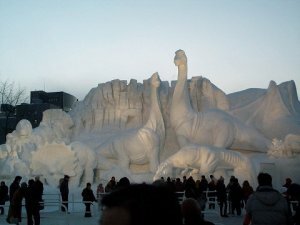 Sapporo gets an average of 5 feet of snow in January alone, making the beginning of February the perfect time to build these amazing sculptures. 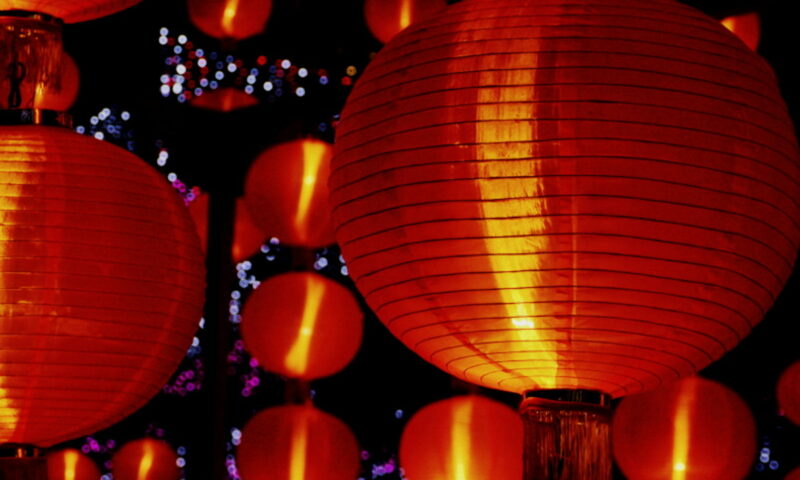 It begins this year on February 5 and lasts seven days. 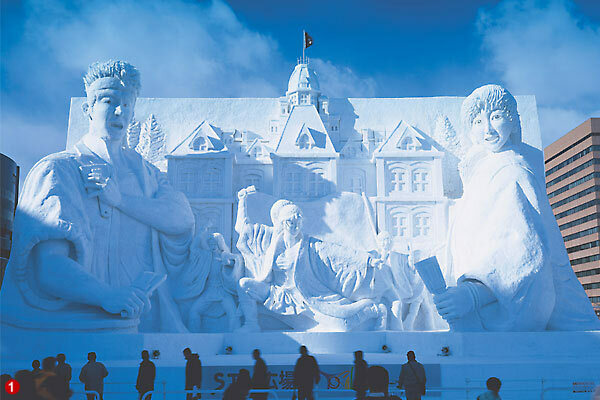 Today the Sapporo Snow Festival is one of the biggest and most famous winter festivals. Millions of people from all over Japan and all over the world come to Sapporo to see the hundreds of snow and ice sculptures.